freestompboxes.org • View topic - Recommendations for budget scope? So I have a few effects on my bench that could really benefit from using a scope to set the trimpots. Specifically, right now I have two delays, and a few modulation effects that I need a scope for. 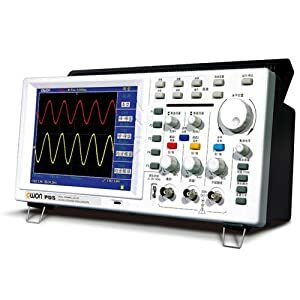 But I looked into the world of oscilloscopes and suddenly realized, "Oh god, I'm way in over my head, I have no idea what to even look for!" Can someone please tell me what requirements I should have when shopping, or better yet, recommend me a simple scope? Obviously I'd like to spend as little as possible, but get something that I won't need to replace ever. Something that can do the job, ya know? Re: Recommendations for budget scope? I have one of these Owon scopes that ive been plenty happy with. NEw they're abou $300. I was hoping perhaps someone might give me an idea as to what KINDS of requirements I need to find a (VERY) cheap one on craigslist used... I see them come up in the price range of 125-200 a lot here in the bay area, but I don't know if what I'm looking at is what I would need for pedal uses. So can you guys tell me what it is I should look for? Any scope that is fully functional will suffice for (analog) pedal work. Oh wow, good reminder ModMan! I haven't looked at the FAQ section since I was a wee tinkerer, hehe. Also, thanks again DrN., that's just the kind of quick summary that I needed. agoldoor wrote: Oh wow, good reminder ModMan! I haven't looked at the FAQ section since I was a wee tinkerer, hehe. On the second hand market you can find nices Hameg 203-7 scopes for less than 50€... sometimes these are even sold with all accessories. A friend of mine got 20 of them from a school recently for free, so keep an eye open for such good deals.